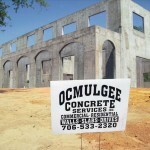 Ocmulgee Concrete Services is second to none in concrete! We do amazing, professional work which you will be proud of for many years to come. And, we have unique expertise at creating stained and stamped work for the special touch that will takes your concrete to the next degree. There are really no short-cuts in concrete. There is the correct way as well as the wrong way. Each step fof the process is important and must be followed exactly to get the finished product you desire. Our experienced crews know how to produce quality work consistently. We have separate crews for every detailed task of your job. From forming slabs or footings on residential jobs to rod busting on commercial projects, we have trained personnel that specialize in every aspect of your job. With over 20 crews working in the Raleigh market, we can cover your concrete needs in a timely manner. 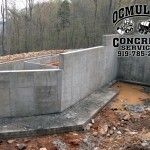 We are the largest concrete finisher in the Triangle. 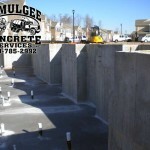 Call us today to schedule an appointment and get a quote for your concrete needs. 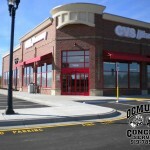 Hire The Best Concrete Contractor, Today! Clearly, it’s extremely important to hire a concrete contractor who takes all these things into consideration. 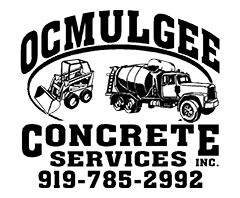 Ocmulgee Concrete Services knows exactly the process and the methods to your company’s concrete turn out exactly right, the first time. Give Ocmulgee a call, today!